The Department of Operations & Information Systems understands it’s one thing to create complex information systems and processes, and it’s another to know how to manage them in a way that makes a business more efficient, effective and competitive. Employees with these skills are considered invaluable assets to any company. That’s why demand for employees trained in Information Systems (IS) and Operations Management (OM) is skyrocketing, and why positions in these fields are some of America’s best paying jobs. Whether in healthcare, manufacturing or retail, almost every aspect of any business relies on information systems. 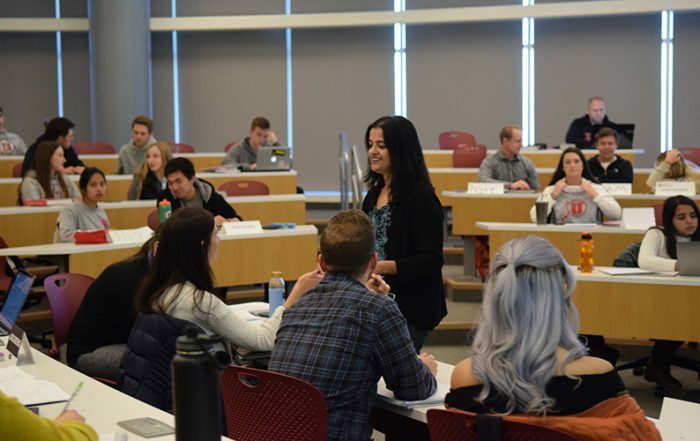 As an IS student, you will learn how to effectively manage the technical direction of business, solve technological issues and implement new technological advances and strategy in day-to-day operations so that the business can achieve a competitive advantage in the market. Almost all major companies have complex operations that need to be managed well to maximize company profits. 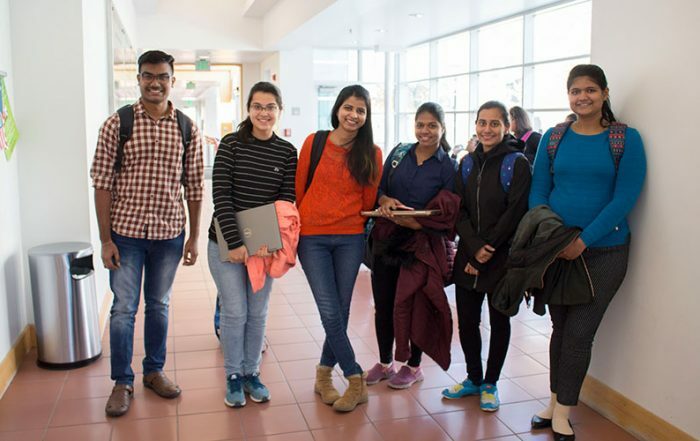 As an OM student, you will learn how to manage such operations by studying a wide range of topics including supply chain management, project management, process control and improvement, quality management, the Six Sigma business improvement methodology, inventory management, planning, scheduling, forecasting and simulation. 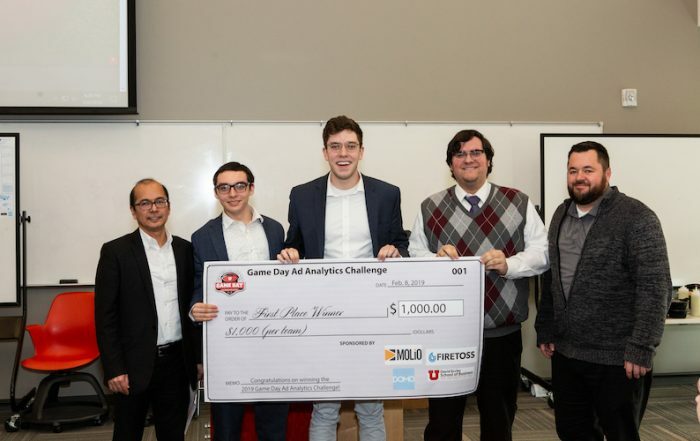 The Department of Operations and Information Systems at the David Eccles School of Business hosts or co-hosts three winter conferences: the Utah Winter Operations Conference, the Product/Service Innovation (PSI) Conference and the Winter Conference on Business Analytics. The three are annual conferences that take place during the early months of each calendar year. The conferences include research paper presentations by top researchers from across the world in the disciplines of operations management, information systems, product and service innovation and the interface between marketing and operations. In most years, they take place at or near one of Utah’s fabulous ski resorts and all conferences feature winter activities such as downhill skiing, cross-country skiing and snow-shoeing. 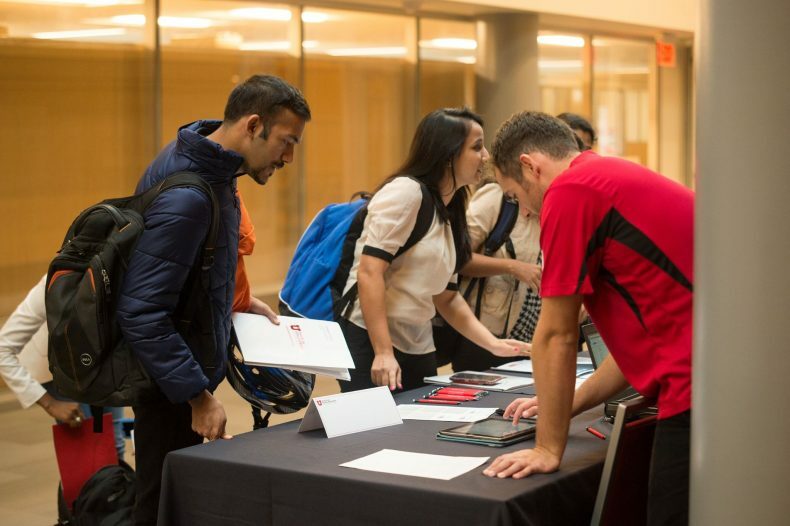 Sept. 13 Professor Jan Van Mieghem Northwestern 1- 2:20 p.m.
Sept. 21 Professor Annabelle Feng Purdue 1 – 2:20 p.m.
Oct. 5 Professor Ozan Candogan University of Chicago Booth School of Business 1 – 2:20 p.m.
Oct. 26 Professor Laurens Debo Dartmouth 1 – 2:20 p.m.
January 19 Pei-yu Chen Arizona State University 10:30 a.m. – 12 p.m.
January 26 Leon Zhu USC 1- 2:20 p.m.
February 2 Wendy Duan George Washington University 10:30 a.m. – 12:00 p.m.
March 2 Dr. Atalay Atasu, Associate Professor, Operations Management Georgia Tech – Scheller College of Business 1:30 – 3:00 p.m.
March 9 Raghu Santanam Arizona State University 10:30 a.m. – 12 p.m.
March 30 Paul Pavlou, Sr. Associate Dean and Professor of IT & Strategy Temple University 10:30 a.m. – 12 p.m.
SFEBB 7112 Do Electronic Medical Record Systems Inflate Medicare Reimbursements? March 30 Haresh Gurnani 1:00 – 2:20 p.m.
April 13 Guodong (Gordon) Gao, Associate Professor Smith School of Business, University of Maryland, College Park 10:30 a.m.
April 27 DJ Wu, Professor in Management Information Technology Management Scheller College of Business, GA Institute of Technology 10:30 – 11:50 a.m.
April 27 Brian Butler, Professor & Senior Associate Dean University of Maryland College of Information Studies 1 – 2:30 p.m.
May 23 Terry Taylor, Chaired Professor of Business Adminstration Haas Operations & Information Technology Management Groupp, University of California at Berkeley 2:30 -4:00 p.m.
October 7 Ozge Sahin, Assist Professor Johns Hopkins Carey Business School 10:30 a.m.
October 12 Christopher Forman, Professor Cornell 10:30 a.m.
October 28 Huigang Liang, Associate Professor East Caroline University 10:30 a.m.
November 4 Heshan Sun, Associate Professor Clemson University 10:30 a.m.
November 18 Hemant Bhargava, Professor UC Davis, Graduate School of Management 10:30 a.m.
February 8 Nicos Savva London Business School 10:00-11:50 a.m. Professor Michigan State University 1:30-3:00 p.m.
February 13 Jeremy Hutchinson-Krupat Darden UVA 10:00-11:50 a.m.
February 17 Nils Rudi INSEAD 10:00-11:50 a.m.
March 3 Georgia Perakis MIT Sloan School of Management 10:00-11:50 a.m.
San Diego 11:30 am – 1:00 p.m.
March 14 Subodha Kumar Texas A & M 10:00-11:50 a.m.
March 31 Amit Mehra, Associate Professor University of Texas at Dallas 10:30-12:00 p.m.
March 31 Ozalp Ozer Univ of Texas at Dallas 1:00-3:00 p.m.
April 7 Felipe Caro UCLA – Anderson School of Management 10:00-11:50 a.m.
April 14 Jason Thatcher Texas A & M 1:30-3:00 p.m.
SFEBB 3160 Social Media and New Employee Selection: How does new technology change an old game? 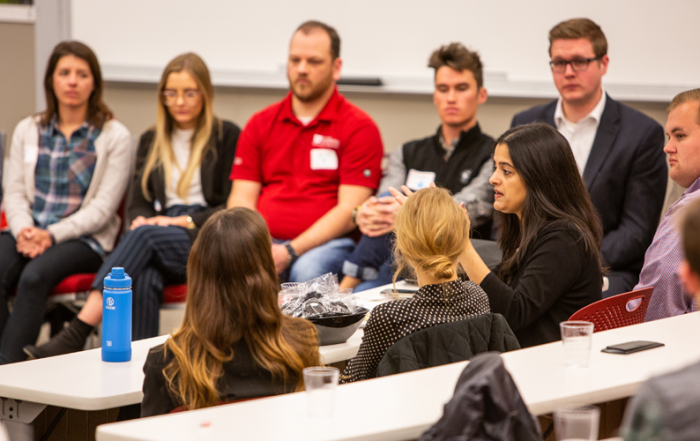 April 21 Greys Sosic USC Marshall School of Business 10:00-11:50 a.m.
April 28 Fuqiang Zhang Olin Business School 10:00-11:50 a.m.
Operations Management Club provides opportunities for graduate business students to network with local professionals in the operations management field. The club focuses on opportunities available within the arena for experienced and inexperienced students. 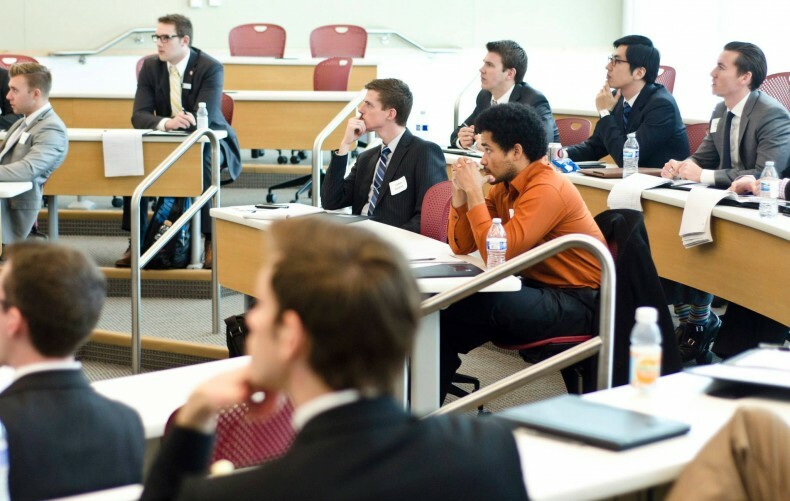 You are able to meet local employers, future business colleagues and students within the MBA program. The club’s format includes lectures as well as workshops. TEK is focused on information systems and technology. Club members participate in workshops and competitions where they learn and apply pertinent IS career skills. You also network with industry insiders to stay up-to-date with the latest technology trends. 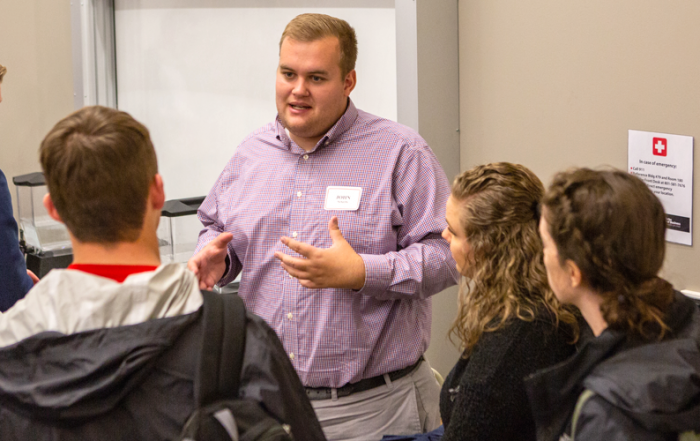 Check out all of our student clubs and other opportunities beyond the classroom.